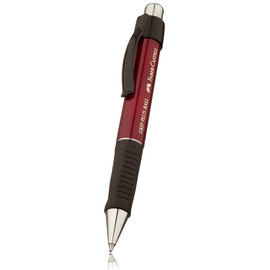 Faber-Castell Design Pens - Made in Germany by the oldest manufacturer of pencils in the world. Faber-Castell have been in the business of making writing instruments for a rather long time indeed; their first writing product was the then revolutionary graphite pencil produced in 1761 and they have been in continuous production ever since! This makes them the oldest pencil manufacturer in the world, and Faber-Castell have certainly developed their range massively since then. Faber-Castell have ensured that their products remain at the forefront both of technology and design. They continue to produce innovative designs which are not only striking to look at, but which are also pleasing to use and reliable in operation. 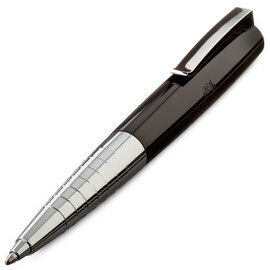 Faber-Castell produce a huge range of quality products catering for school, office, studio and home use, as well as the prestige writing instruments in their Graf von Faber-Castell collection. In this section we offer Faber-Castell’s 'design' collection: a medium priced selection of beautifully designed writing instruments manufactured to the high standards you would expect from this long-established German company. A range of writing instruments with clean lines. Finished in brushed black resin, engraved polished resin, stainless steel, brown pearwood or coconut wood. 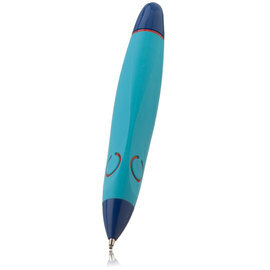 Avaliable as fountain, roller ball, ball pen and propelling pencil. The Guilloche Rhombus Ambition features a finely engraved rhombus pattern encircling the barrel, producing a pleasing geometric design that complements its sleek, straight profile. Bright chrome accents provide a pleasing contrast. Geometric lines create a three dimensional effect on these OpArt inspired Ambition pens. 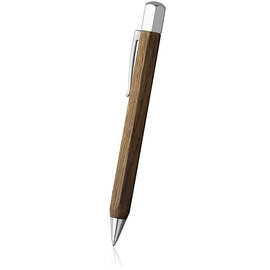 An award winning, chunky pen range combining natural pearwood barrels with high gloss chrome. 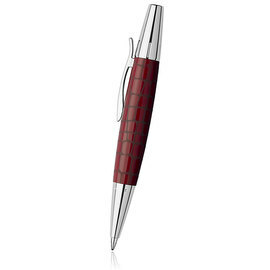 Deeply engraved with a rhombus design, the guilloche rhombus E-Motion from Faber-Castell extends the popular E-Motion pearwood and precious resin models. Faber-Castell's 'Pure Black' E-motion series combines finely textured matte black barrels in anodized aluminium with matte black trim to present a modern, sleek design and tactile writing experience. 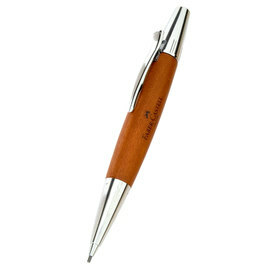 A finely textured laser-engraved version of the pearwood E-Motion, available engraved with a parquet or crocodile design in black, brown or ivory. 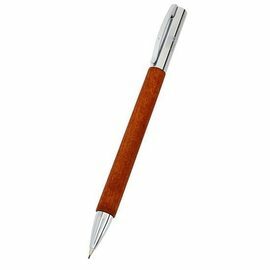 Grip Plus mechanical pencils and ballpoint pens feature ergonomic triangular grip sections to allow for fatigue free writing. The Faber-Castell Loom is of all-metal construction with an attractive matt finish. 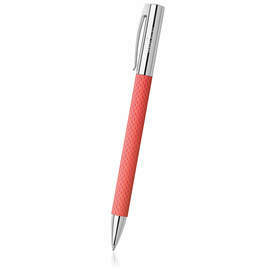 Available as a rollerball, ballpoint and as a mechanical pencil in a range of vibrant colours, as well as the matt silver finish. The Loom Piano range features the all-metal construction of the Loom matt, but has a deep gloss finish redolent of a grand piano, combined with highly polished chrome. A wooden version of the popular resin Ondoro, the Ondoro Wood features a hexagonal barrel made from Oak contrasting with the bright chrome cap and trim. 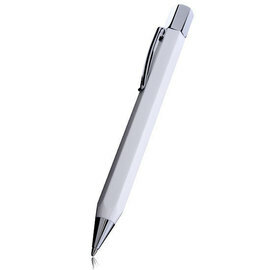 Available in four modes; fountain pen, rollerball pen, twist ballpoint pen, and 0.7mm twist pencil. 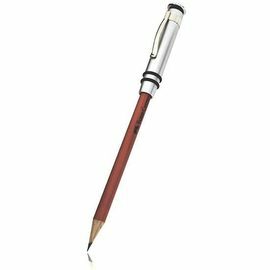 Faber-Castell perfect pencil design - 3 pencils and pencil extender with integrated sharpener. 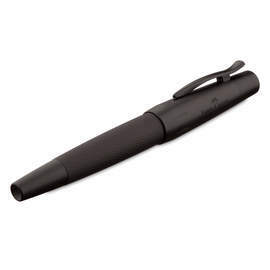 School pen from Faber-Castell featuring a chunky modern design with ergonomic grip. 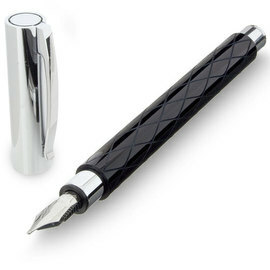 The fountain pen is available for right or left handers. 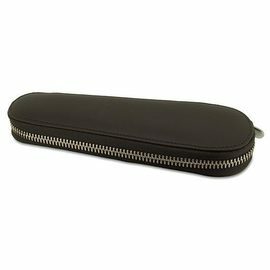 Faber-Castell produce a range of leather pen cases suitable for all their pens, with a specially made range for the chunky Emotion pens. 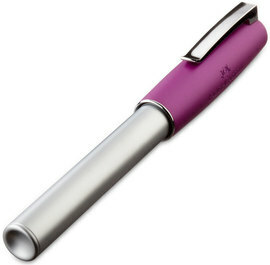 Available to hold one or two pens. 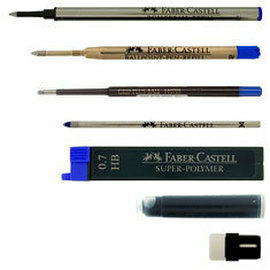 The complete range of Faber-Castell pen refills for ballpoint and rollerball pens, pencil leads, and inks. As well as refill pencils for the design perfect pencil.